We may assume that the price continues forming diagonal triangle pattern inside wave (5) of . The Index may start moving upwards again during Monday. 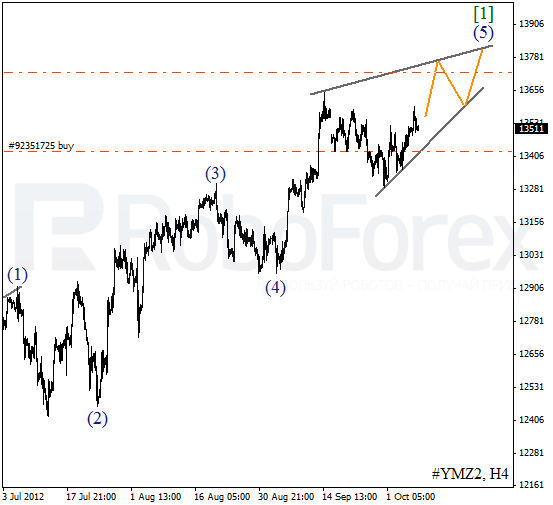 The target for the bulls remains at the level of 13700. 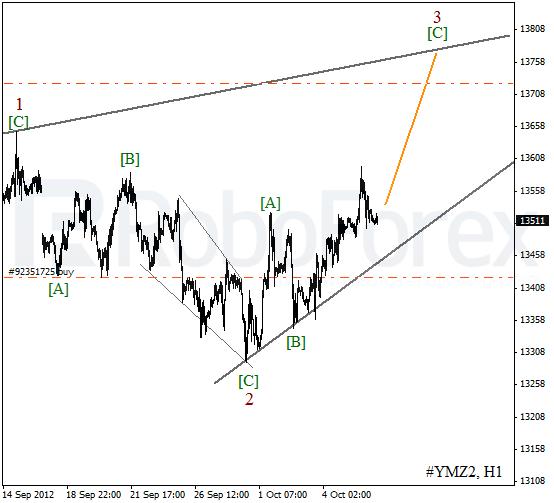 At the H1 chart the price has completed the second wave with diagonal triangle pattern inside wave [C]. At the moment the instrument is forming an ascending impulse inside wave [C]of 3. In the near term, we can expect the Index to continue growing up and break a local maximum. 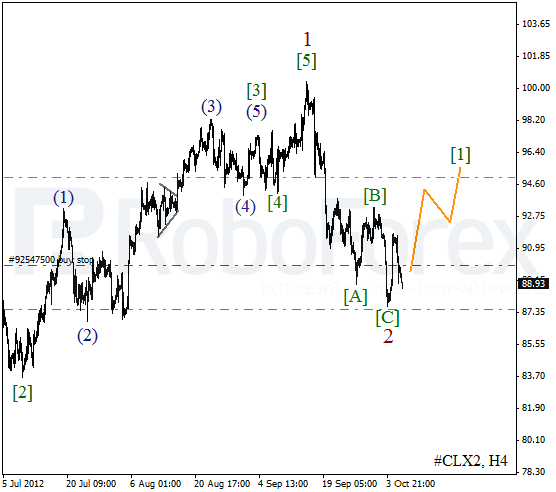 We can’t exclude a possibility that the price has finished zigzag pattern inside the second wave. On the minor wave level the instrument is forming an initial impulse. During the next several days Oil may continue growing up on Friday. The target is at the level of $95 per barrel of Light Sweet. The critical level is the minimum of wave 2. 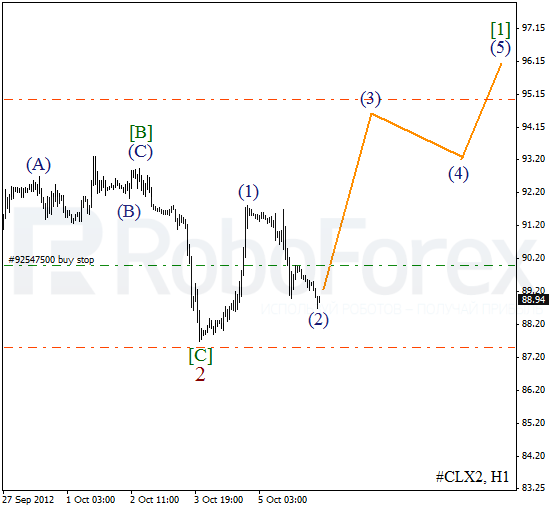 The current chart structure implies that Oil has completed an ascending impulse inside wave (1). Right now a local correction is taking place, and it may be finished on Monday. Later, we can expect the instrument to start moving upwards and form wave (3) of .